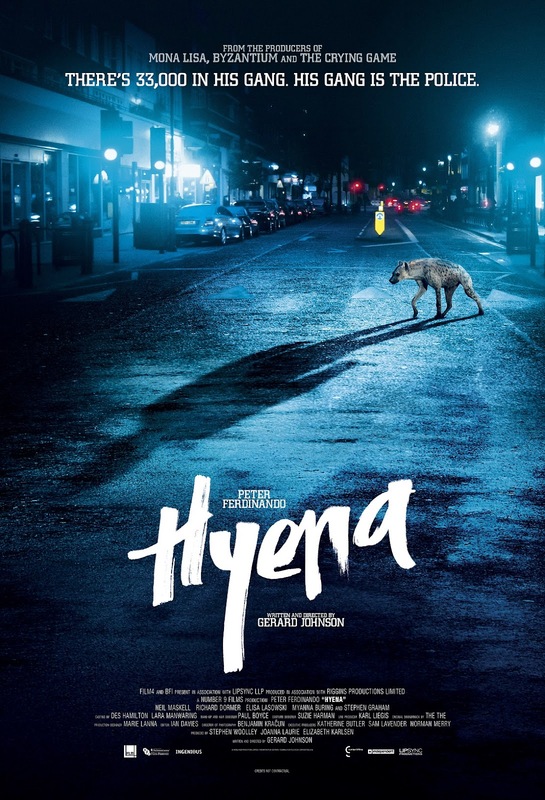 The Establishing Shot: FIRST LOOK: See the first trailer for Gerard Johnson's Hyena - In Cinemas March 2015 - WATCH THIS! FIRST LOOK: See the first trailer for Gerard Johnson's Hyena - In Cinemas March 2015 - WATCH THIS! I would ask if you are ready for another gritty powerful Brit gangster flick. The type only the Brits and maybe Danish know how to do properly. But I don't think anyone is ready for Gerard Johnson's Hyena. Hyena has been quietly boiling in its pot since Number 9 Films kicked off production last year and announced that Gerard Johnson’s follow up to his acclaimed debut, Tony would be an original crime tale - Hyena a police thriller set in contemporary West London amongst the Turkish and Albanian communities focussed on Michael Logan an anti-hero for our times. With an exciting cast of talent that includes some of our favourites: MyAnna Buring (Twilight Saga: Breaking Dawn, Downton Abbey), Stephen Graham (Tinker Tailor Soldier Spy, Boardwalk Empire and Neil Maskell (KILL LIST!!!!! !, Utopia), Elisa Wald Lasowski (Eastern Promises, Game of Thrones) all playing alongside Gerard Johnson regular (and) lead Peter Ferdinando (Tony, A Field In England). The gritty and stylistic drama about a corrupt cop who gets in too deep caused a bit of stir when it opened the Edinburgh Film Festival gathering a quick following of fans. Hold on tight here comes Hyena!. HYENA revolves around Michael Logan (Peter Ferdinando) an anti-hero for our times: a natural predator and a complex mix of high-functioning addict and corrupt police officer. But his dark world is evolving. A recent influx of ruthless Albanian gangsters is threatening to change London's criminal landscape. Michael's razor sharp instincts have always kept him one step ahead, but now his increasingly self-destructive behaviour and the sheer brutality of the new gang lords find Michael in a spiralling descent of fear and self-doubt. From producers Stephen Woolley (Made in Dagenham, The Crying Game, Mona Lisa), Elizabeth Karlsen (Great Expectations, Ladies in Lavender) and Joanna Laurie. HYENA reunites director Gerard Johnson with Peter Ferdinando (A Field in England, Starred Up), who played the lead in his debut feature Tony, and also stars Stephen Graham (This is England, Tinker Tailor Soldier Spy), MyAnna Buring (Twilight, Downton Abbey), Neil Maskell (Kill List, Wild Bill), Elisa Lasowski (Somers Town) and Richard Dormer (Good Vibrations). 1st November 2014, London: Opening the Edinburgh International Film Festival this year and storming Sitges to win the best feature film award in the Official Fantàstic Òrbita section, HYENA will be released in UK cinemas on 6th March. Written and directed by Gerard Johnson after his critically acclaimed debut, Tony, HYENA reunites Johnson with Peter Ferdinando (A Field in England, Starred Up), who is joined by Stephen Graham (This is England, ‘Boardwalk Empire’), Neil Maskell (Kill List, ‘Utopia’), MyAnna Buring (‘Downton Abbey’, The Twilight Saga), Elisa Lasowski (Eastern Promises, ‘Game of Thrones’), Tony Pitts (‘Peaky Blinders’, War Horse), Richard Dormer (Good Vibrations), Gordon Brown (The Riot Club, Bronson), and introducing Orli Shuka and Gjevat Kelmendi.